A growing trend in gardening this year are Kokedama, they are a new and exciting way of displaying houseplants. 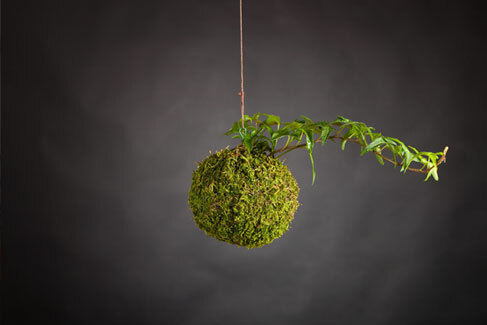 This modern variation on a hanging basket originates from Japan, the word Kokedama translates literally as ‘moss ball’. 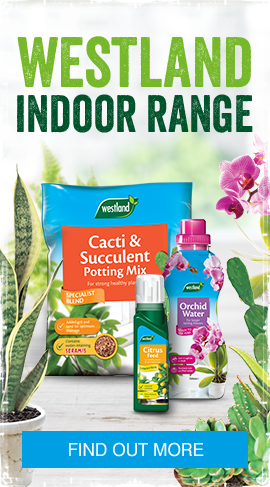 They are a great space saving way of decorating your home and garden with plants, without the use of plastic pots or hanging baskets they are also very environmentally friendly. An easy DIY project, in only a few simple steps you will have your very own Kokedama creation to embellish your home or garden. Mix the bonsai potting mix and multipurpose compost in equal parts. Add water until the compost is damp. Choose your plant, gently remove some of the compost from its roots. Take a large handful of your compost mix and form a ball around the plant roots. Squeeze out excess water from the compost. Lay a sheet of moss on a flat surface, wrap the compost ball with the moss. Wrap string around the ball once and tie in a knot, continue winding the string tightly around the ball in a random pattern, and tie in a knot to secure. Attach another loop of string to hang the kokedama. Kokedame will dry out quickly, in summer it is best to submerge the moss ball in water for a few minutes, and then hang up to dry. Regularly mist spraying the kokedama with water will also help to keep it in good condition. Kokedama are best kept in a bright location, but out of direct sunlight.